Laker Dance Team » Blog Archive » Calling All Dancers! « Successful trip to Louisville! 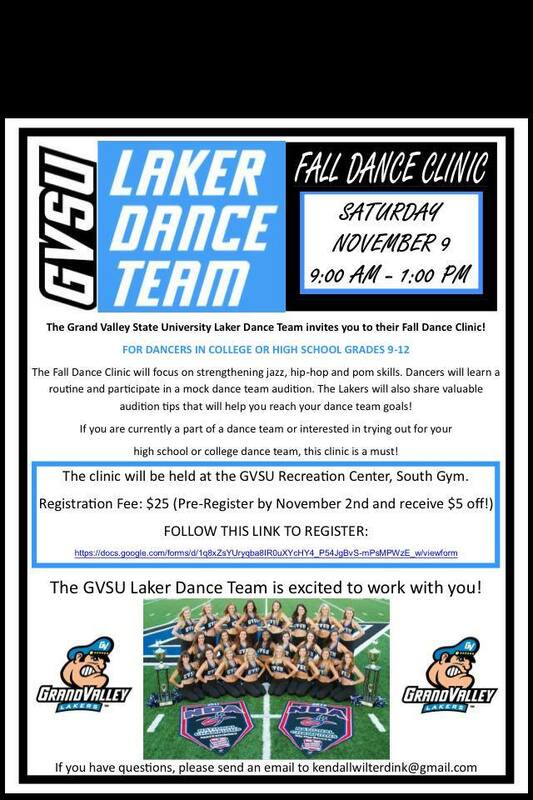 The Laker Dance Team will be hosting a clinic November 9th and we’d love to see you there! Registration is $20! Check out our flyer below for registration and general information! This entry was posted on Monday, October 28th, 2013 at 8:11 pm	and is filed under Front Page. You can follow any responses to this entry through the RSS 2.0 feed. Responses are currently closed, but you can trackback from your own site.